Being one of the leading providers for drywall ceiling repair services, we at “Drywall Repair Encino” offer top quality services. Not only do we ensure that you will receive only the best type of work, but we also guarantee that all our contractors finish their work in a timely manner. We have been in the drywall services business for many years now. This is why we know the many problems that occur in line with sheetrock and ceilings. 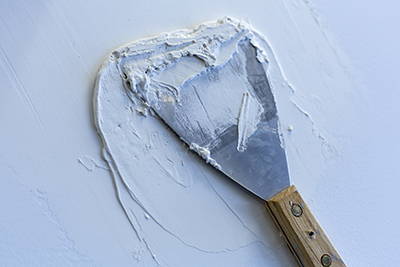 Although drywall is used as a way to strengthen the foundation of homes, this foundation also experiences wear and tear that comes along with age. When a home has not been renovated or is not being maintained, the chances of leaking pipes or holes in the roofs or walls occurring are very high. The water that comes from leaks seeps into the sheetrock or drywall, causing the drywall to fall off. This can also happen if there are heavy appliances on a floor above, causing the drywall to weigh down and eventually fall off. This is where we come in to help. During these kinds of instances, our diligent contractors ably provide you quality drywall repair services. They will open up the affected portion of the ceiling to find out the reason behind the problem and effectively fix it. 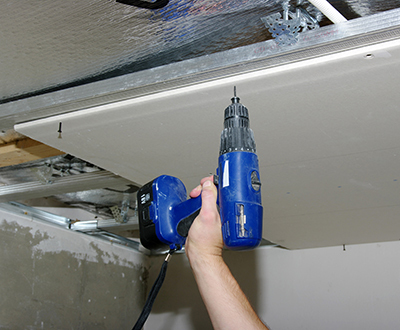 Having completed a myriad of tasks related to drywall problems, they are sure to do a fantastic job. Our esteemed drywall contractors are well-trained to make accurate and precise assessments of your issues and repair everything with flawless results. Moreover, they are adequate at performing sheetrock removal services. That way they will be able to install and replace the old damaged drywall with new ones. Adept at performing drywall installation, our drywall installer will confirm that there is no trace of any damage once the installation is completed. Well-versed at patching, they will check that the painting or finishing service applied will match the current texture of your ceiling. However, if you wish to have the whole area repainted, we can do that for you as well. As there is no ceiling repair that we cannot handle, our friendly contractors are known to be able to finish the job within a turnaround time of 24 hours. Should you need rushed services, just let us know, and we will send over more technicians to your home to quickly complete the job. Apart from quality service, we also offer reasonable rates. So, rest assured that once we give a quote, that price would be final, free of additional charges. Call us now and we will get all your issues pertaining to drywall sorted out in no time.